Your need to be assured that your fleet is in perfect working condition,our software will provide you with the information and guidanec with comprehensive reports on sheduled maintenance options, enhancing vehicle productivity and increasing the longetivity of the vehicle. This product allows you to use GPS to track locate and recover your vehicle no matter where it is hidden. With the device you save money on your driving cost and vehicle insurance. We are motorcycle alarm specialist, our well designed and developed motorcycle alarms are easy to fit. You get full alarm and immobilisation features, we use cutting edge technology to make sure you are in control and at ease. We are a registerd service and repair center, providing you with the most accurate and fair-price, with industry trained specialists. 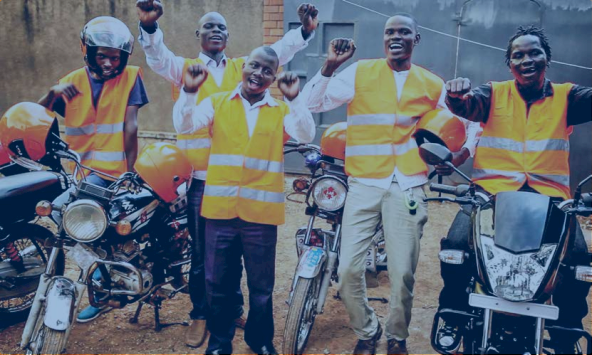 Piki Pata offers affordable automobile tracking and fleet management solutions using our unique and efficient modern technology giving our customers accessibility to their motorcycles and vehicles. Empower all riders country wide to have the physical and logical control of their fleet. P.O Box 29756-00202 Nairobi, Kenya.